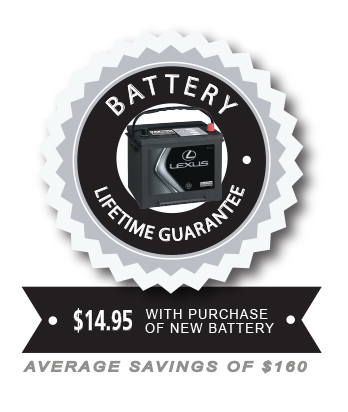 Our technicians here at Tony Graham Lexus have the latest battery-testing equipment available to determine your battery’s health and state of charge to help prevent you from having a no-start situation. Schedule your appointment to have your battery tested, serviced or replaced. We will also properly dispose of your old battery to conserve our environment. 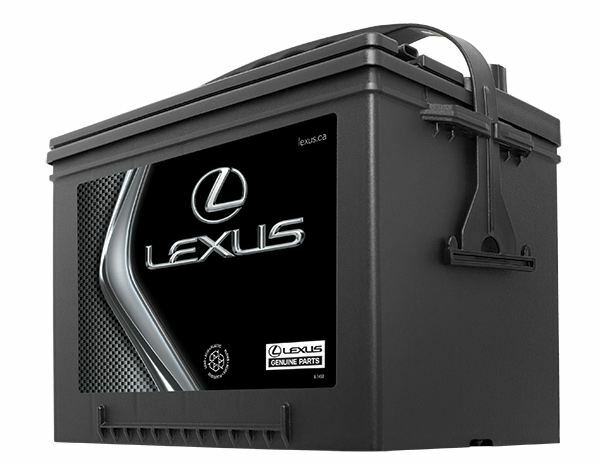 Only available for Genuine Lexus replacement battery for Lexus automobiles on or after August 1st, 2018. Guarantee is specific to the original purchaser & vehicle. Initial & subsequent battery replacements during the valid guarantee period must be installed by a Tony Graham Automotive Group Technician. The guarantee is not valid at any other repair shops. Installation and any other consequential labour or parts required to return battery system to its original operating condition are excluded. Guarantee does not cover loss of use, towing charges, transportation or incidental damages or parts supplied by customer. All recommended maintenance must be completed as per service guide & Lexus recommendations. Guarantee is applicable to complete battery failure, based on inspection, industry standards testing and recommendations from a Tony Graham Automotive Group Technician. Guarantee is non-transferable and applies only to the original purchaser of the replacement battery on the vehicle it was installed. Not applicable to wholesale customers or over-the-counter purchases. Guarantee does not apply to vehicles that have been modified or used for racing purposes.